The LP-4000™ and the follow-on LP-4210F™ Display and Control (DAC) Instrument is designed for laboratory or shop conditions. 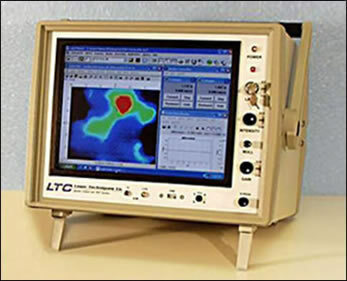 It is used in conjunction with an external Motor Control Unit to provide detailed analysis and display of quantitative data gathered by LTC's laser-based inspection sensors and delivery systems. 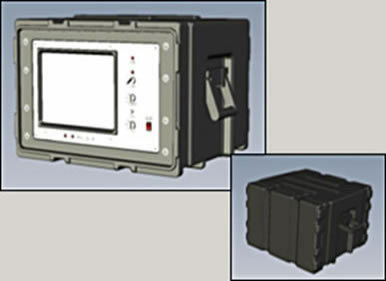 The LP-4210F™ was developed for use in harsh environments. It includes all of the features of the LP-4210™ lab or shop instrument and combines them into a shock-mounted instrument chassis with a fully integrated (internal) motor controller unit. Rugged end covers provide protection for the front and back panels during local storage and shipment.